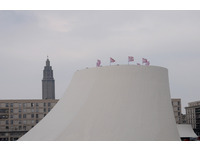 Le Havre Ville Monde is the title given to Lucy + Jorge Orta’s major installation across the French sea port of Le Havre, offering visitors a route lined with 78 monumental Antarctica Flags, and two solo exhibitions in contemporary art centres across the city. 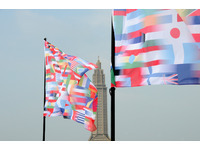 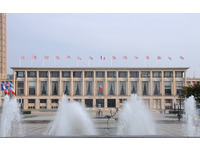 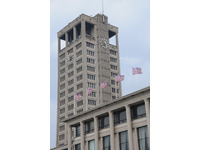 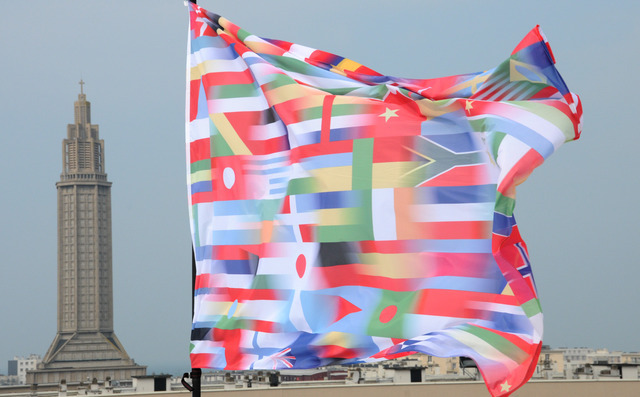 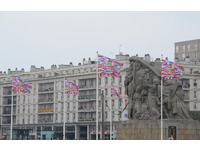 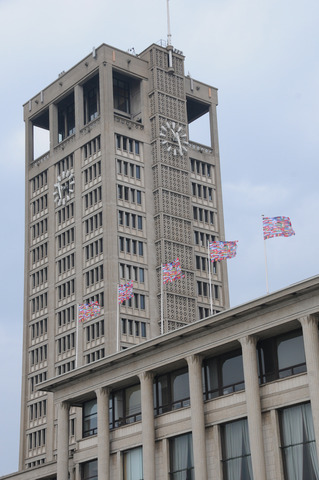 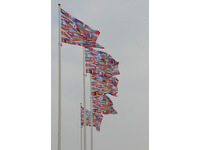 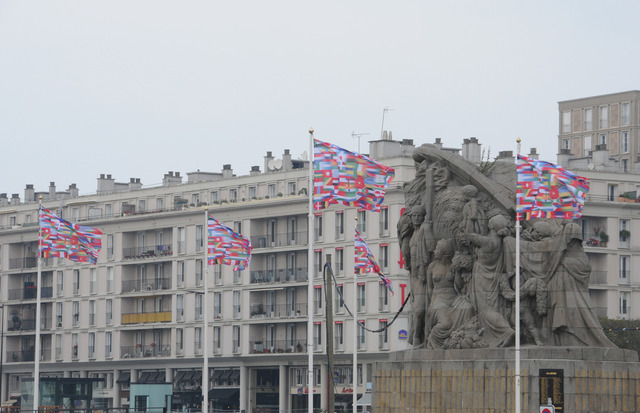 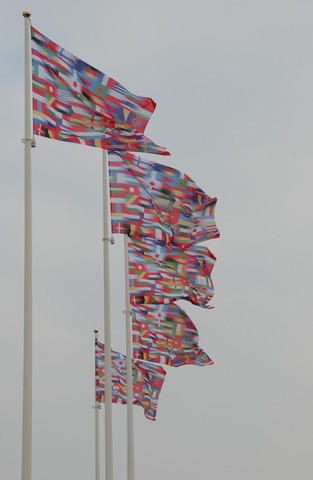 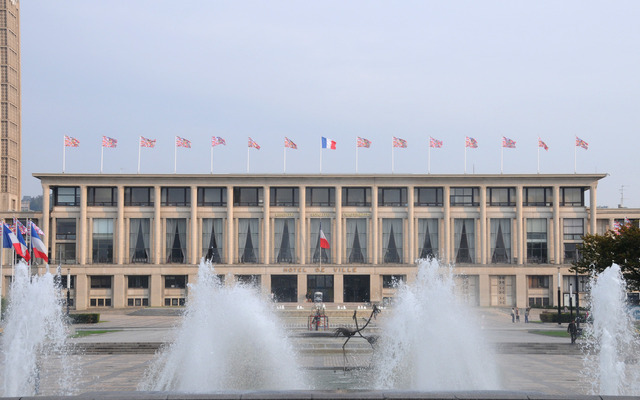 The flags interconnect the different architectural icons of Le Havre, including the City Hall, its parapet adorned with the colours of Antarctica, as well as the Frissard Wharf, the Chamber of Commerce and Industry, the Tourneville Fort and Pasino. 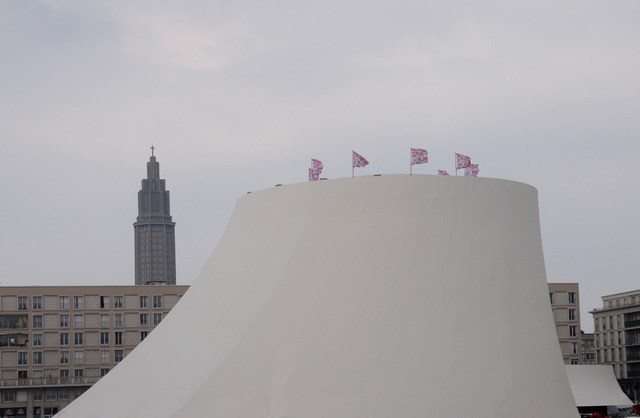 The flags culminate at the 'Volcano', home of the cultural masterpiece by the famous Brazilian architect Oscar Niemeyer, its foreboding iceberg form reminds us of the current melting ice caps as a consequence of climate change, and the fragility of our planet. 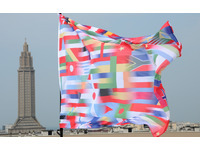 At the art centres of the Tetris and Portique, two solo exhibitions of the artists' work present work from the Antarctica project, including a new Antarctica World Passport Bureau. 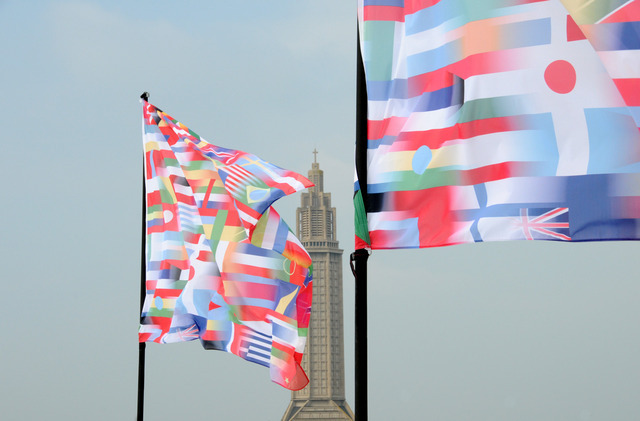 Le Havre Ville Monde is a truly visual and symbolic event that draws an artistic journey in honour of the LHFORUM / Positive Economy Forum.